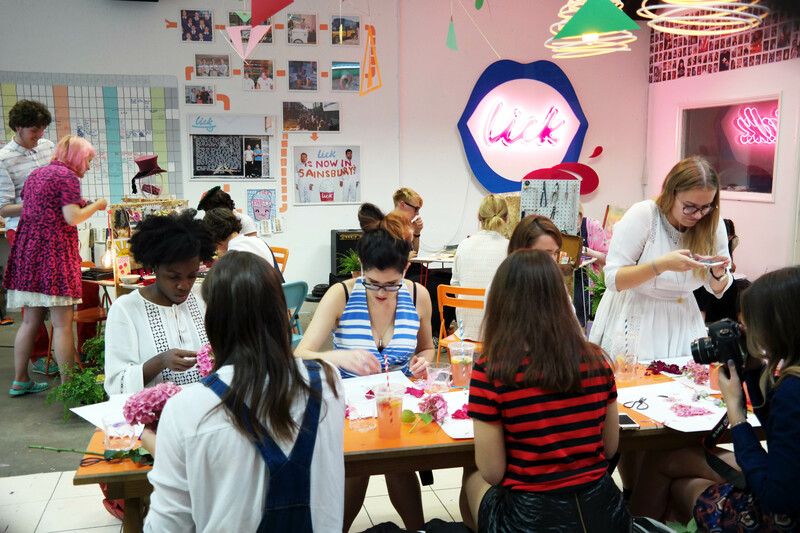 This week Brighton was invaded by 8 of the UK’s biggest fashion bloggers for the #Etsybloggersleepover, an event which saw them get close to the places where Etsy sellers live, work and get their inspiration. 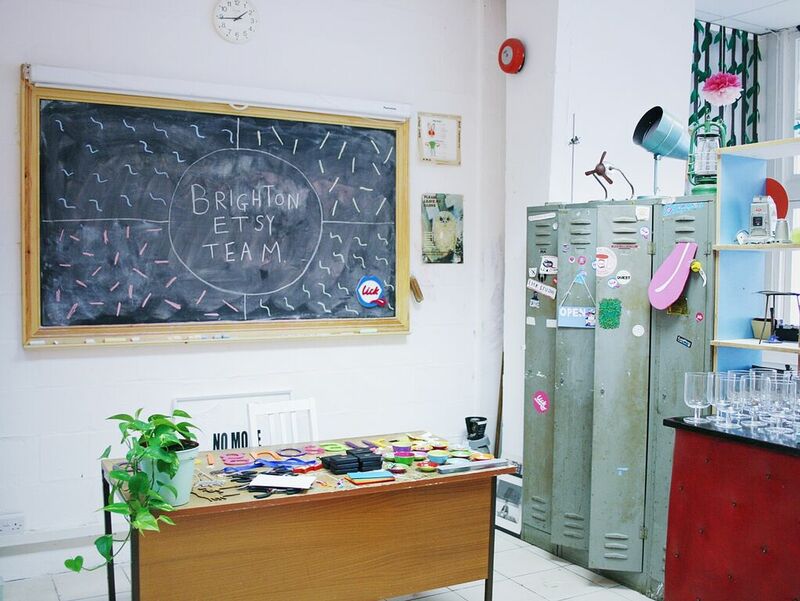 Their trip wouldn’t have been complete without some input from the Brighton Etsy Team, so we put on a little event for them to see behind the scenes of a Brighton seller. 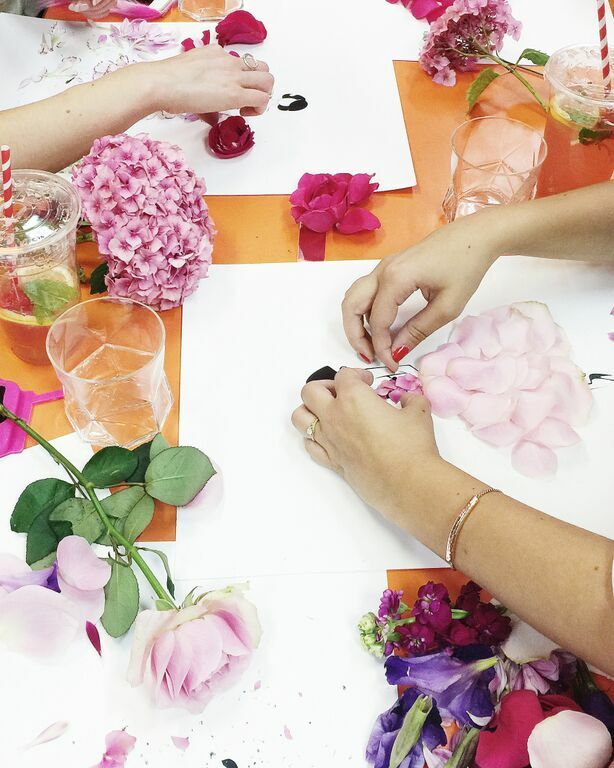 Taking over the Lick frozen yogurt studios in New England House, we set up six mini studios and a workshop area. 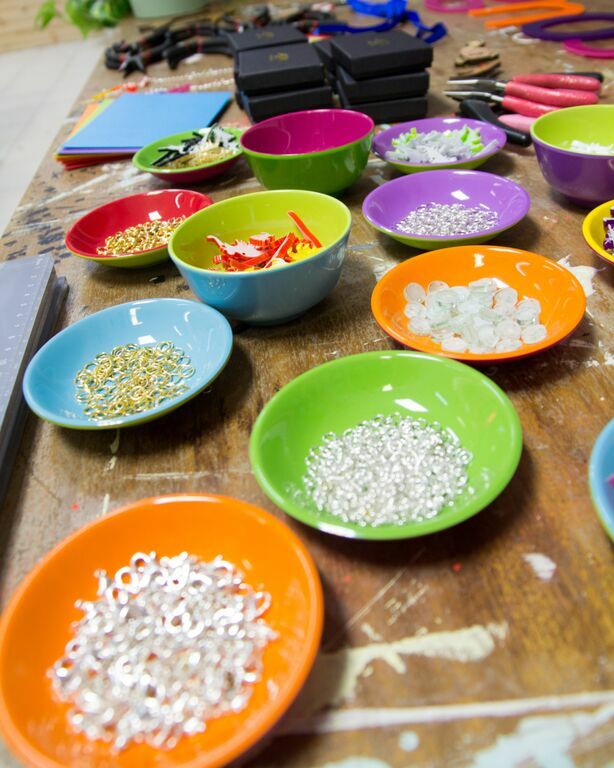 The space was styled by team member Claire Knill of shop In the Making, she even handmade the tables used for the studio spaces! 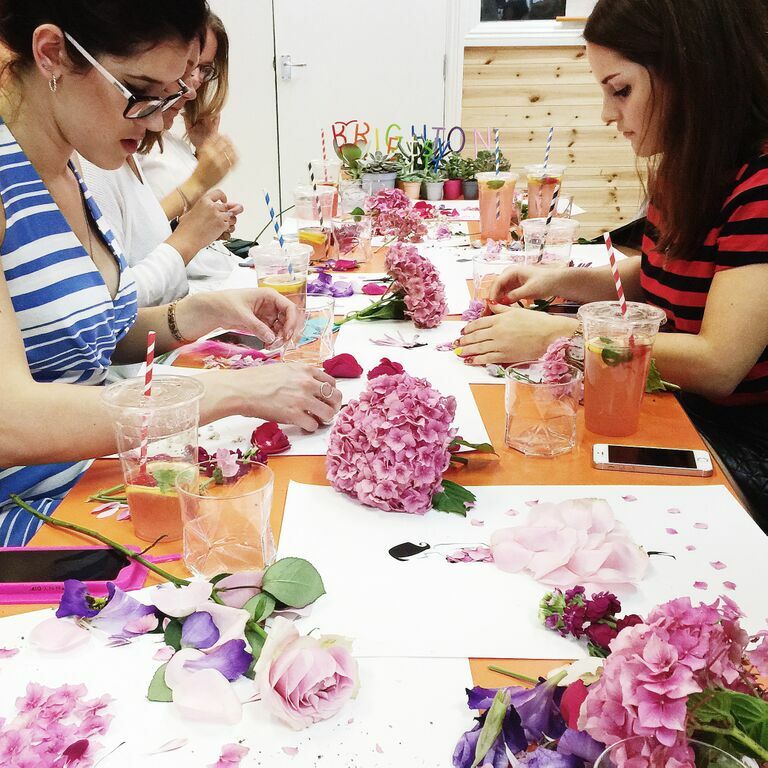 Workshops were run by team member Georgie st Clair, after the success of her flower collage workshops at the Craft party in June. 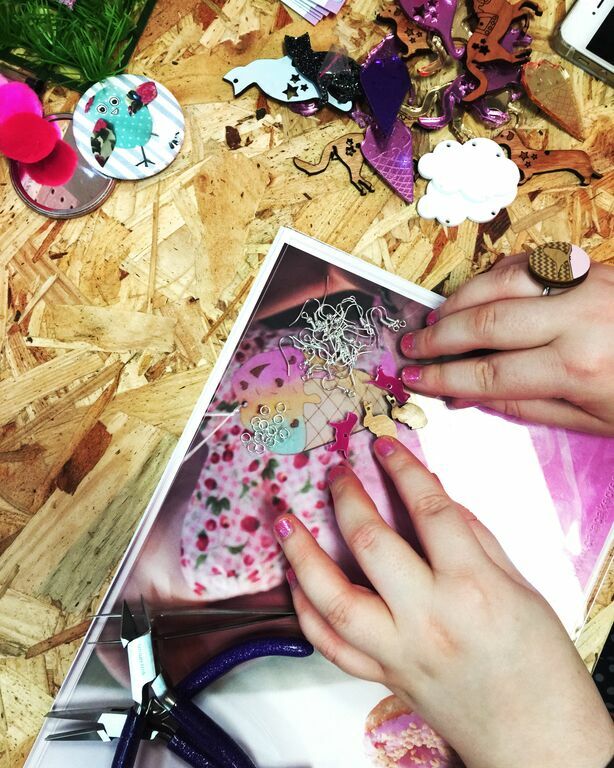 Team captain Karli of designosaur also led them through a jewellery workshop, creating custom laser cut charm bracelets and necklaces. 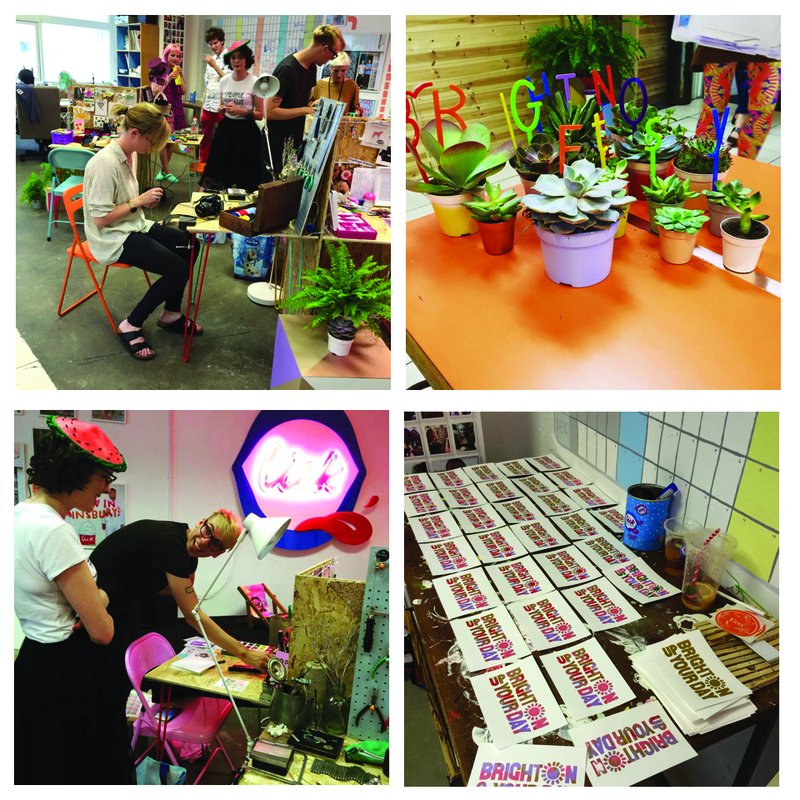 The studio spaces were inhabited for the day by team leaders Toby of I like CATS, Claire of Cat-a-Cake Creations, Ali & Jam of hello DODO, Kate of Oh Someday Jewellery, Ellen of B Millinery and Sarah of Rock Cakes. 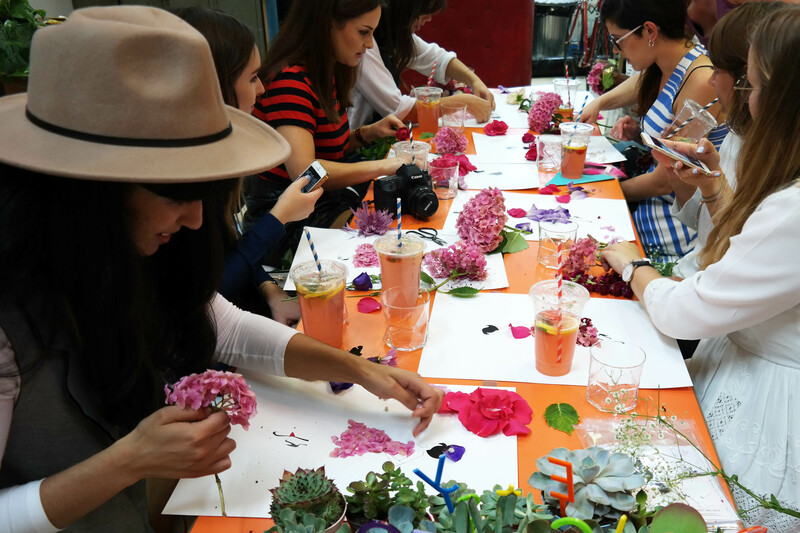 The bloggers got a glimpse into the daily routine of the makers, with felt hat making, jewellery design, painting, printing and macramé all taking place for them to watch. 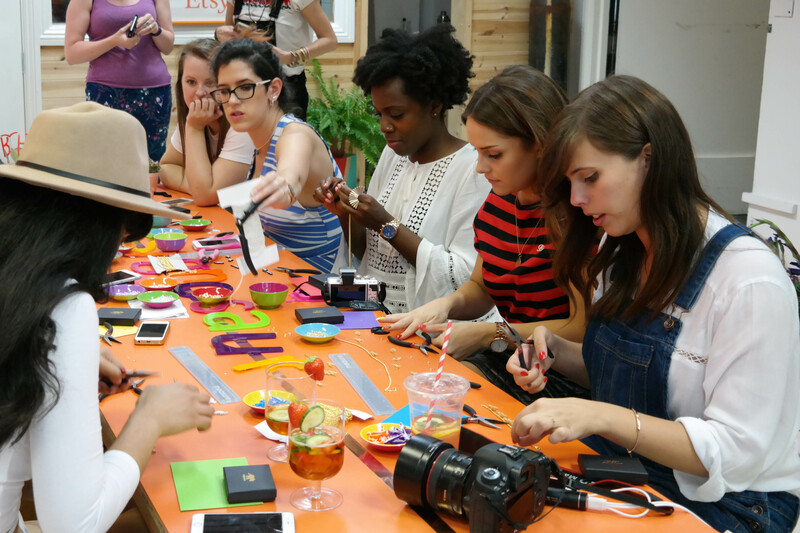 Keep your eyes peeled on the #etsybloggersleepover hashtag to see more of what they got up to! 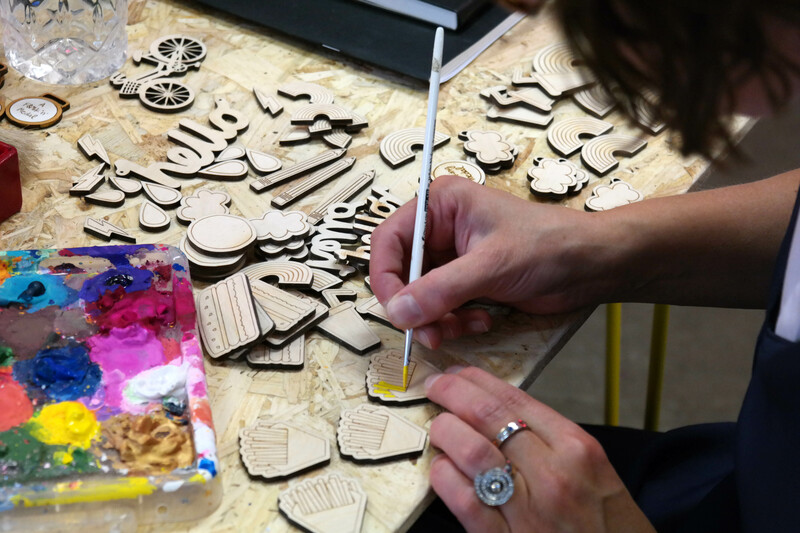 If you’d like to take part in events like this in the future make sure you get involved with the Brighton Etsy Team; come along to events and meet-ups, join in on the forum and interact with us on social media! 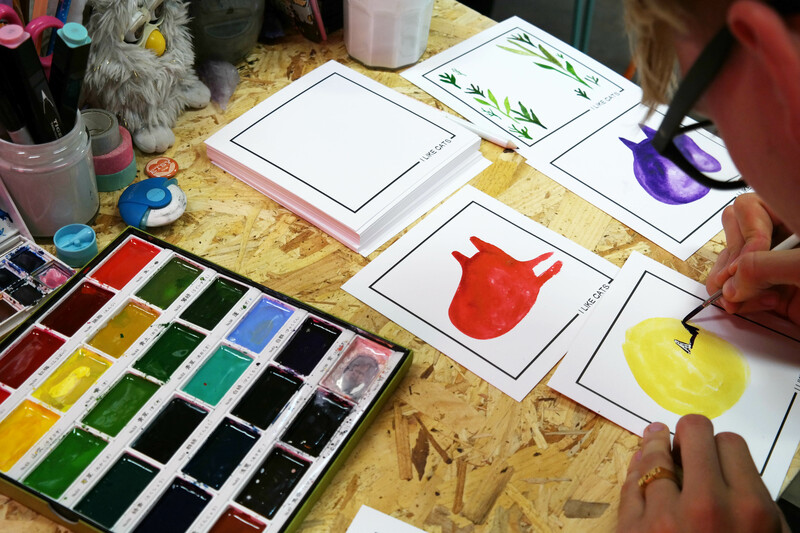 A big thanks to Lick for letting us use their fantastic space, to Hen restaurant for the delicious lemonade and to all the team members who took part in the event! 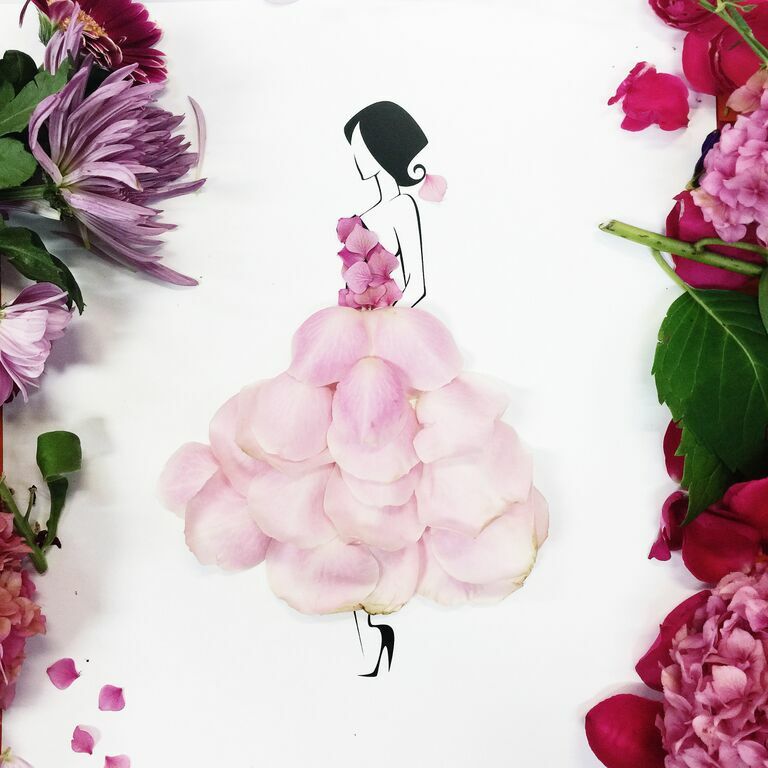 Previous Post August Meet Up – Next Week!